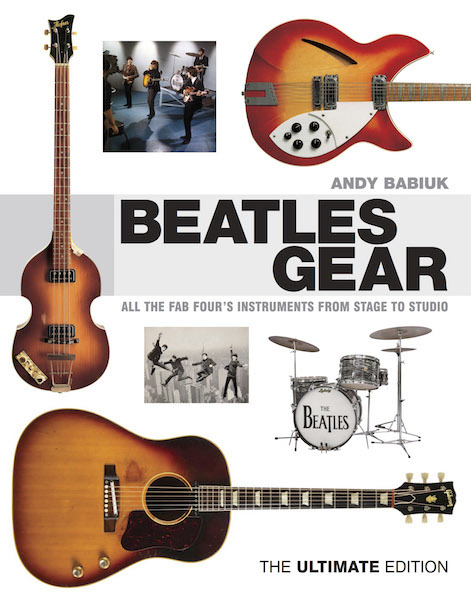 This is a book by Andy Babiuk that I was deeply involved in, both as its editor and publisher. 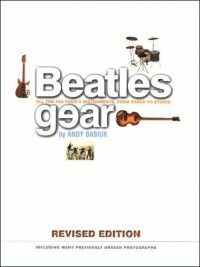 I first met Andy back in the 90s when I needed help with the short chapter I wrote about Beatle guitars in Classic Guitars Of The 60s (see Fuzz & Feedback here). 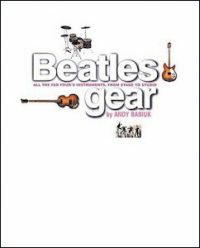 We got on well and revelled in a common love of all things Beatle, but especially the instruments the group used. Andy told me then about the ambitious project he’d started, a book that would cover the entire story of the guitars, drums, amps, keyboards, and anything else the group got a sound from. Andy had put together something remarkable. 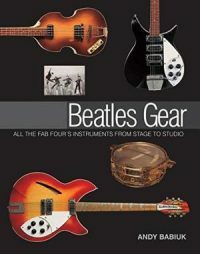 What I particularly liked about his approach was that, as a working musician, he was realistic about how The Beatles had dealt with the gear available to them. He was enough of a fan to want to know all the intimate details, but he was clear-sighted enough to know that what really happened was often an oddball mixture of chance, opportunity, and happenstance. I enjoyed working with him. We had good fun with the back and forth of picture selection and text refinement, and we did quite a few photography trips together. Anyway, we published the book; we were all very proud of this fantastic piece of work; and soon it became a hit. There have been a few re-makes since that first edition, all of which I again edited. The first appeared hard on the heels of the first, in 2002, and was a paperback version with some useful additions and revisions (jacket below left). The next version appeared in 2009 (jacket below right) and had some small revisions. The biggest change came with the Ultimate Edition, the one pictured top left: it came out in 2015 and has many, many more pictures, some new text, and a number of revisions. If you’d like to read my foreword to the Ultimate Edition, you could do a lot worse than clicking the link here.